A Eurasian species, rarely found as an escape from cultivation along streams and river banks. C. K. Dodge collected it on the banks of the Black River at Port Huron, St. Clair Co., in 1905, noting that it had persisted for more than 10 years, but it has been rarely seen since (though perhaps overlooked). 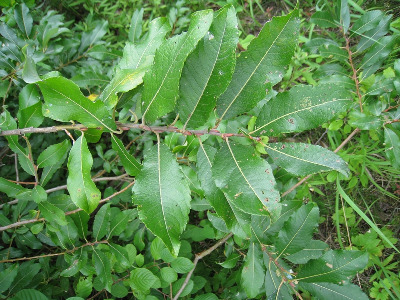 This is a large shrub with dark foliage. MICHIGAN FLORA ONLINE. A. A. Reznicek, E. G. Voss, & B. S. Walters. February 2011. University of Michigan. Web. 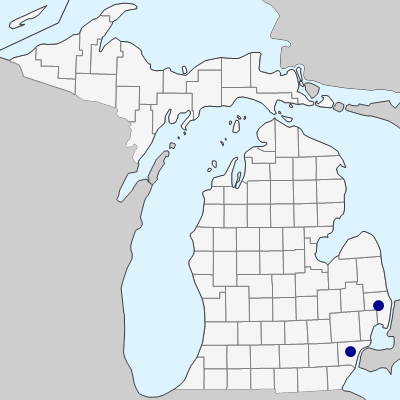 April 19, 2019. https://michiganflora.net/species.aspx?id=2623.